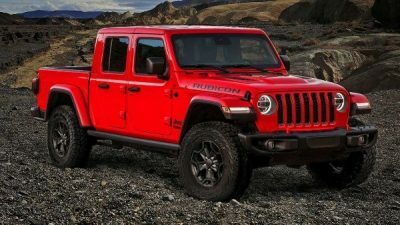 US automaker Fiat Chrysler Automobiles announced today that all the 4,190 Jeep Gladiator Launch-Edition vehicles are already sold out just a day after opening pre-orders for its new pickup truck. The 285-horsepower, Pentastar V6 powered Gladiator ,that is part SUV part a pickup , debuted at the Los Angeles Auto Show last year as the first Jeep truck in nearly three decades. 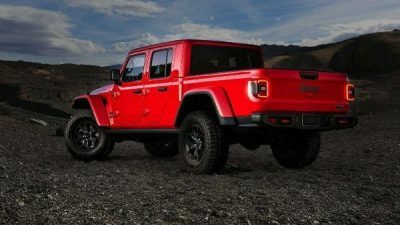 The limited run of 4,190 Launch Editions is a reference to the 419 area code of Toledo, Ohio, according to FCA, where the Gladiator and Wrangler are assembled. The $62,310 Launch Edition’s several upgrades over the standard truck includes 17-inch Mid Gloss Black aluminum wheels, 33-inch Falken Wildpeak All-Terrain tires, one-off badging – like the moniker “One of 4,190” forged into the tailgate and black leather seats with red stitching. 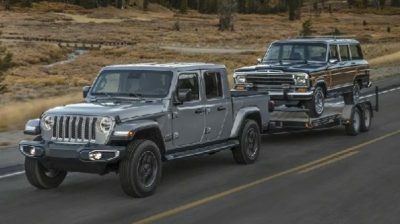 The Gladiator comes in four trims—The base Sport model starts at just $33,545, the $38,240 Sport S, the $41,890 Overland and the range-topping Rubicon costs $43,545 – all prices before destination and clearing fees .